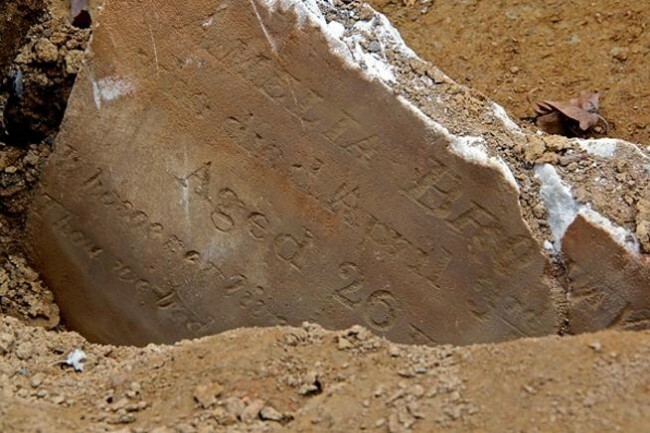 Twenty-month-old Anna Matilda Rolley died this date, December 19th, in 1848 and was buried at Bethel Burying Ground. Twenty-month-old Anna Matilda Rolley died this date, December 19th, in 1848 of burns from accidentally being scalded by boiling water and was buried at Bethel Burying Ground. The child’s family was one of the wealthiest African American families in Philadelphia. * Abner, the child’s father, was a barber who owned his own shop in a popular location and took on apprentices including his son. Mary Ann Rolley, the child’s mother, was a laundress and seamstress who also had employees. In addition to their large family, they took in an orphaned child. Below is how the 1847 census takers recorded the family. Remarks: The orphan boy’s mother died from a cold taken at the time of the 1st of August riot. His father died while in service. Barbershops owned by African Americans during this period had to choose whether they were going to service Black or white customers. The shop was “a kind of men’s club, where a customer above all felt at home.” That was only going to be achieved with one race or the other. It appears, given Abner Rolley’s success, his shop catered to white men. ** It seems likely that the location of the shop also had to do with the business’s success. The Rolley family owned the building at 112 North 5th Street in center city Philadelphia. The shop was on the first floor and the family lived on the above floors. In addition, the address was in the middle of the largest market in the city. In the map below the white area represents the “Market House” on High Street, later named Market Street. The red arrow indicates the location of the Rolley’s business and home, one block north of Independence Hall. The 1850 Federal Census record on the Rolley family is below. Abner’s spouse, Mary Ann, is much younger than he is. It is very likely that she is his second wife, given the older children’s ages. Robert Miller appears to be the orphan mentioned in the 1847 Census and William Stevens is possibly another barber that lives at the residence. Mary Ann Means may be a daughter of Ms. Rolley from a previous marriage who works in the family businesses as a seamstress. Tragically, Mr. Rolley died suddenly at seventy-three-years-old while he was at work in his shop on December 3, 1860, leaving a thriving business to his son William. *Roger Lane, Forging Freedom, 267. **Roger Lane, William Dorsey’s Philadelphia and Ours, 115-118. ← Ten-day-old James Hill died this day, December 4th, in 1828 and was buried at Bethel Burying Ground.